Prior to joining CFED, she interned with the Danville Regional Foundation where she worked on the foundation’s initiatives in economic and community development and published a white paper based on her study of the entrepreneurial capacity, structure and culture of the Dan River region. 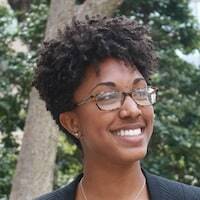 She also worked with the UNC School of Government’s Community-Campus Partnership program, where she helped research and design the program’s evaluation framework. Ms. Williams is a graduate of the University of North Carolina at Chapel Hill where she majored in economics and international studies, minored in music, and graduated with honors. About half of all businesses in the U.S. will fail within their first five years. And the fewer resources and options business owners have, the more they stand to lose if their business goes under. CFED studied U.S. microbusiness owners to learn about their financial behavior and challenges - and how financial capability could help them succeed. Here’s what they found.